I transform 3-phase 220 volts to 100 volts and use it. This review is about item#08523015. This review is about item#08523103. We introduced three-phase power control by solar equipment and used it when decompressing from independent power supply. We are very satisfied with the operation of measuring equipment. This review is about item#08523033. It is used to change the power supply voltage of our products. Although the price is affordable, it seems that there is no particular disadvantage regarding performance and use. I am satisfied with the performance using. This review is about item#08523076. It was able to be used when 100 V power supply could not be taken at work site. It was small and free to use. 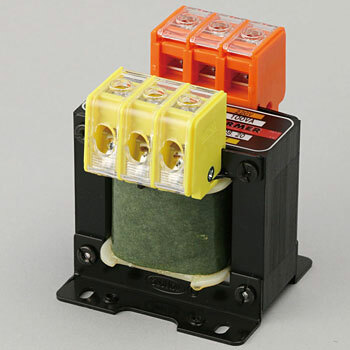 Although it is a place of 200V at the site, when it is desired to use about 100V parts, it is useful because it can be used by using a transformer to change the voltage.